Yesterday, I decided to break away from my usual weekend routine of work, work, work and actually go out with my friend Marie. 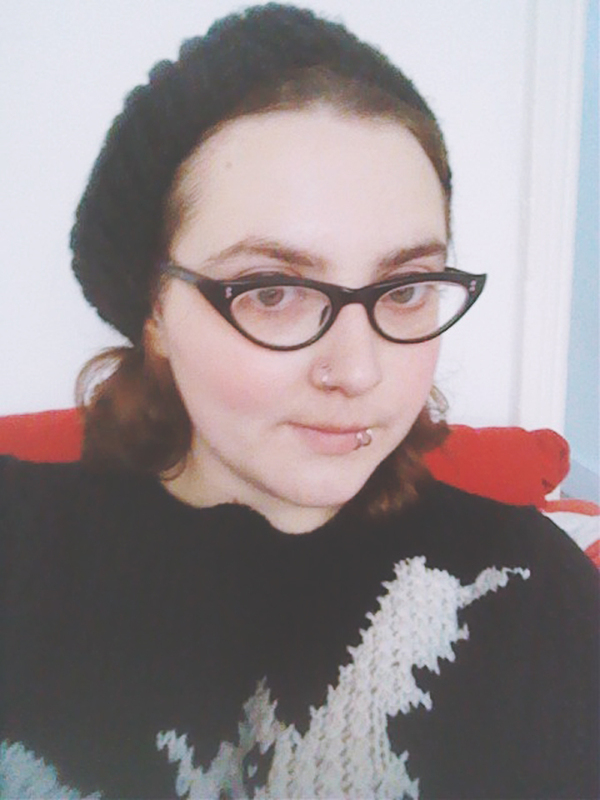 Since I was having a lazy, chilled-out day, I just chucked this hat on and ran out the door. I'm wearing my glasses this week since I'm pretty sure I have viral conjunctivitis. Not nice! Other than trying my hardest not to buy out Primark (I haven't stepped inside a Primark since March... for very good reasons! ), we skipped over to this amazing diner. It was decked out in proper 50s Americana, including this adorable little genuine Seeburg. It was only 20p for one song (we were in favour of Johnny Cash) but, unfortunately, neither of us had any change. I had a mint chocolate chip milkshake. My word, it was divine! It came in this humungous container which held about 2 and a half glasses. Yum yum yum! 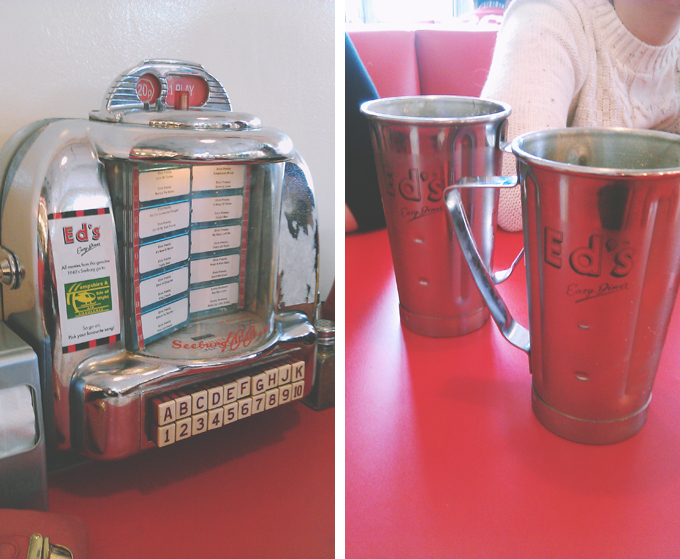 As a diner enthusiast, I approve of those milkshakes, and the jukebox too!! I used to always visit the '5 and Dime' diner in London Ontario (Canada) whenever I would visit my grandparents as a kid. I never had any change, but learned early on that my grandparents would bribe me with pocket change to finish my often too large meal. You can bet I'd claim to be full well early on so I'd get a couple quarters to play some tunes. Hey, scamming in the name of nostalgic fun, haha!